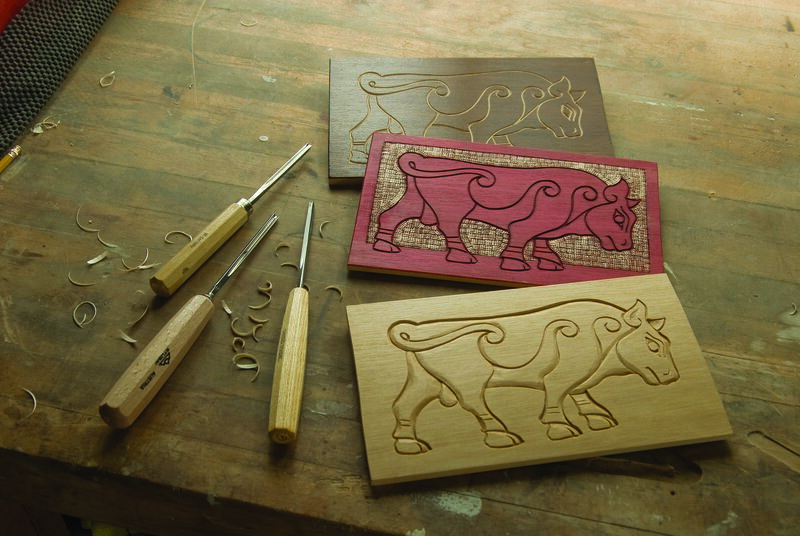 This design gives you the opportunity to practice low-relief carving. 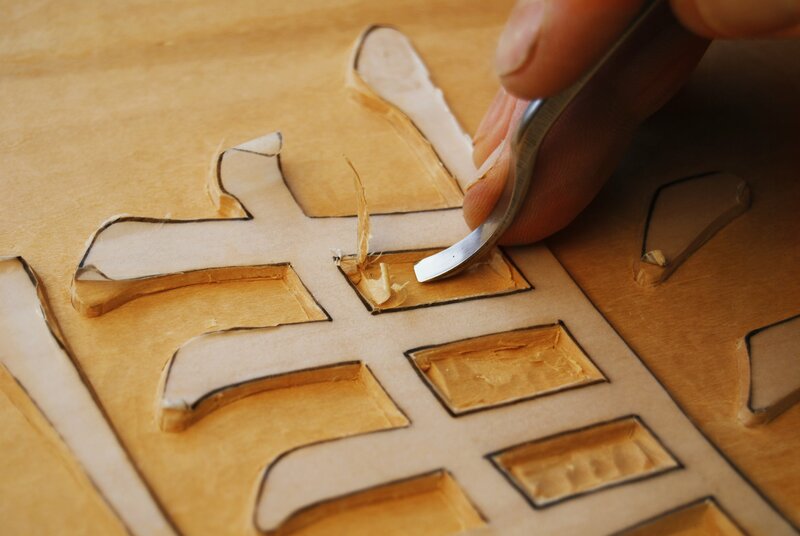 The technique is the same whether you are carving kanji characters, traditional letters, or pictorial designs. 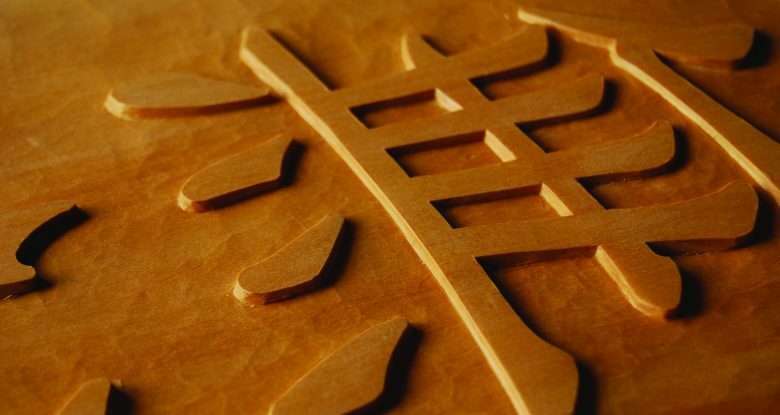 These kanji characters look interesting, and the shapes teach you how to set-in and ground a low-relief carving. Grounds can be “open” (approached easily from the side) or “closed” (areas surrounded by wood that are trickier to get at). 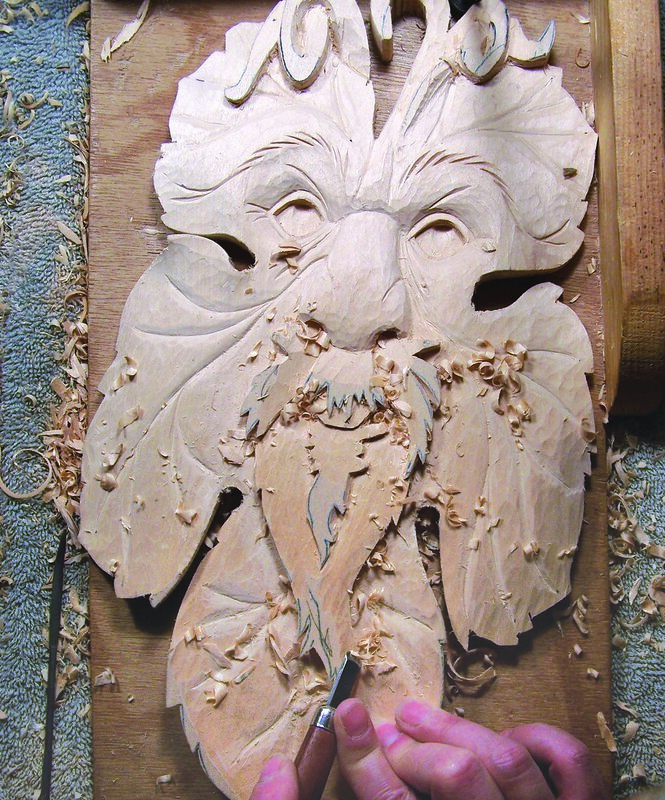 Carvers need to be able to deal competently with both instances. I want to emphasise that the technique demonstrated is entirely independent of the subject. 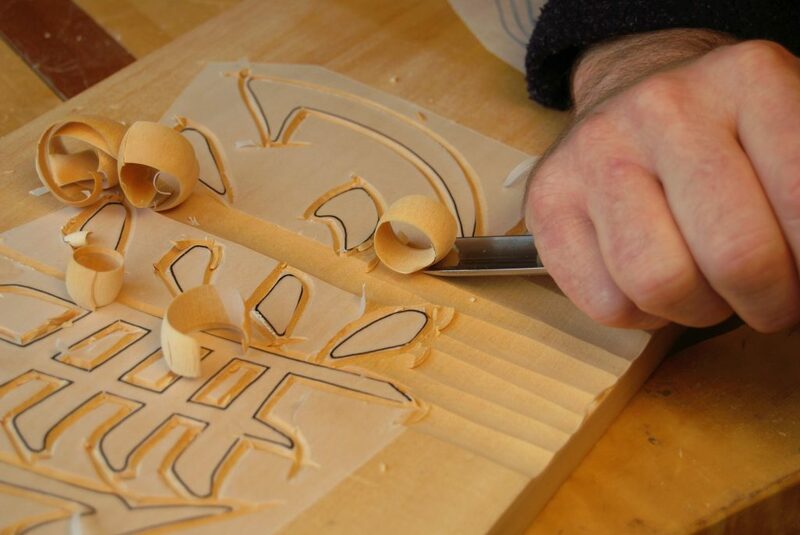 I chose this design to provide practice in important and fundamental carving techniques, but the design could be anything that works in relief as a silhouette—any letter, of any style (from Hebrew to Arabic); single (monograms) or grouped (a house sign, blocks of text); and even flowers, fish, or geometric patterns. 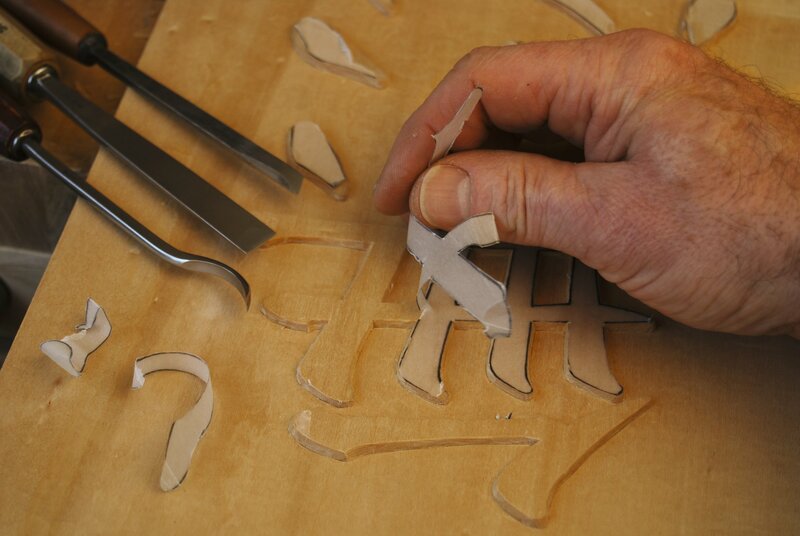 Feel free to work with an alternate design; the method of carving will be the same. Cutting diagonally. 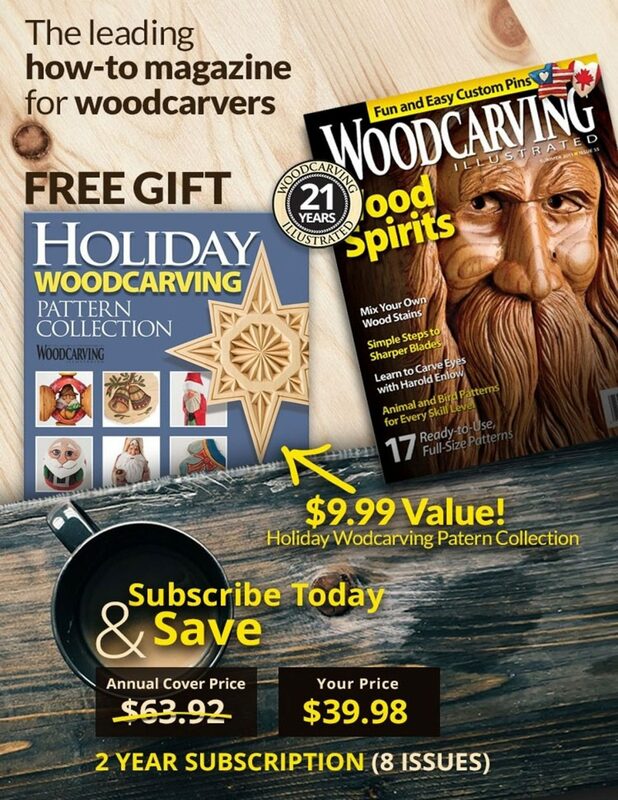 When cutting diagonally across the wood fibers, one side of the V-tool or veiner cuts with the grain, and the other side cuts against the grain. 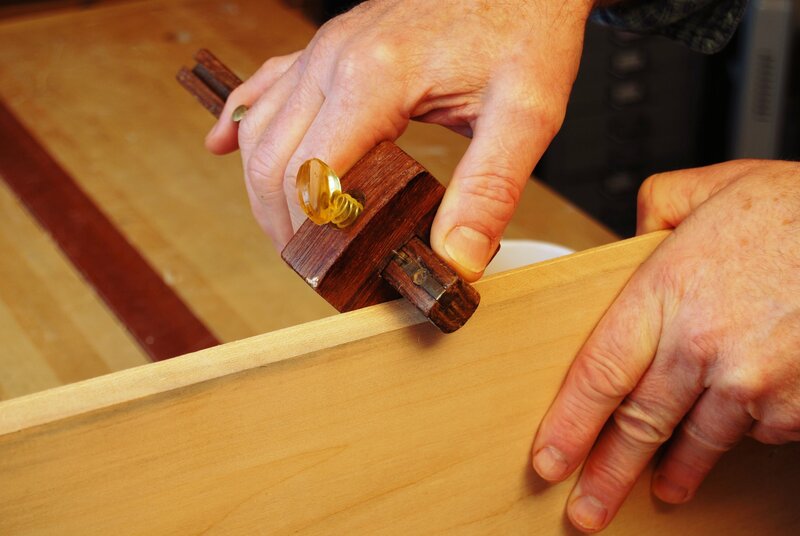 Put the “good” or smooth side of the groove next to the subject and the rough side to the waste at all times. 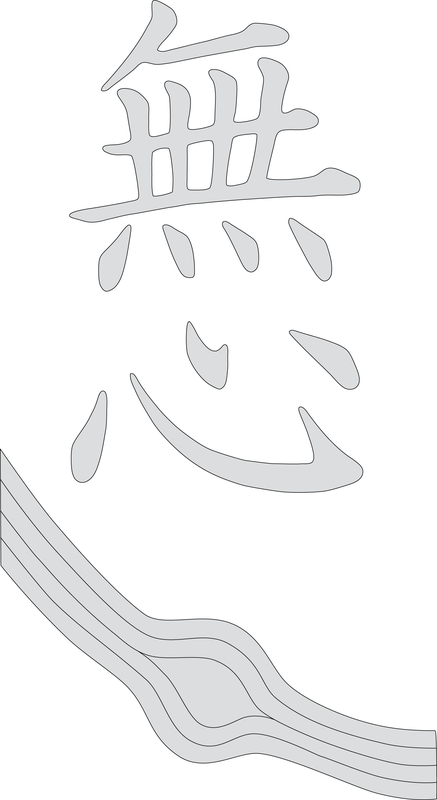 This design is an example of “kanji:” a form of Japanese writing or script. I chose two kanji characters that make one word: “Mu-Shin,” and because Japanese is read from top to bottom, I’ve put them one above the other. “Mu-shin” is a wonderful concept that arises out of Zen, for which there is no exact equivalent in English. It can be translated as “empty-mind” or “no-mind,” meaning a mind that is empty, but has infinite capacity and potential. The concept is readily found in the “mind like water” business concept. To give the kanji a context—and to provide more valuable carving practice—I added a pattern of water flowing around a stone. You need a neat accurate outline of your subject, whatever you choose. Make your lines—what will be the outline of the subject—clean, simple, and flowing. They should be quite large, and without a lot of fussy details. I enlarged the kanji on my computer and printed the design on vellum, or transparent paper. 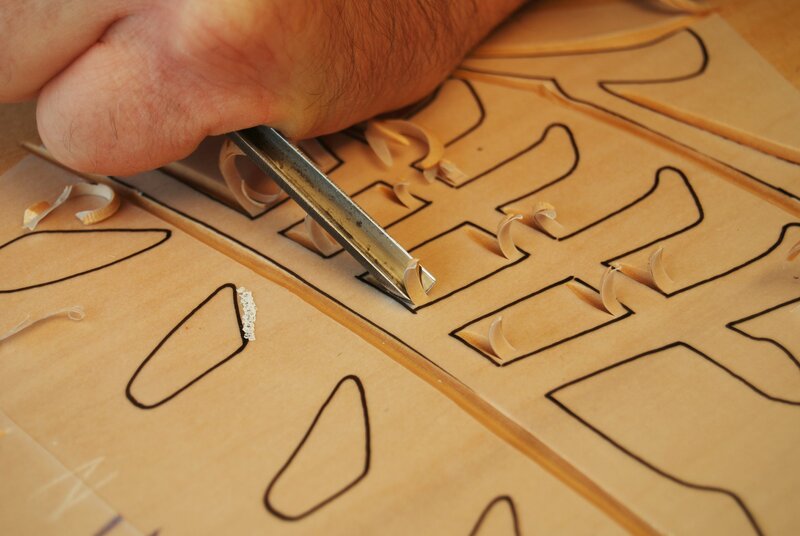 The transparent paper allows me to orient the designs with the grain. Keep the strength of the wood fibers (the grain) in mind. Short fibers are weak and prone to breaking off, so check your design, and adjust it for strength. 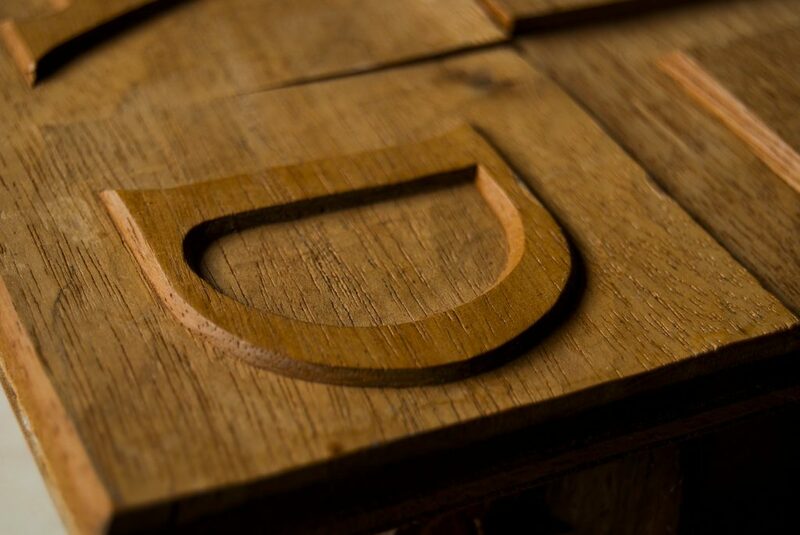 A tight-grained wood such as oak, lime, basswood, or mahogany is ideal, but any unfigured, carveable wood will work. Because the design reads vertically, I have the grain orientated this way too. Western lettering looks better with the grain horizontal. Since the carving is quite shallow, you need only use a board 3/4″ to 1″-thick. 1. Transfer the pattern to the wood. 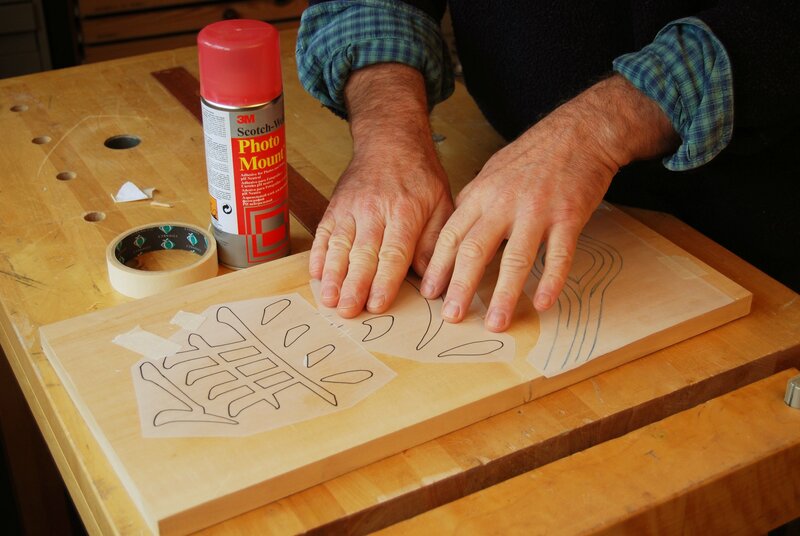 Trace the design on the wood or use temporary-bond spray adhesive to attach the pattern. Draw a line 1/8″ to 3/16″ down from the surface on the outside edge the whole way around the blank, using a ruler or a marking gauge. 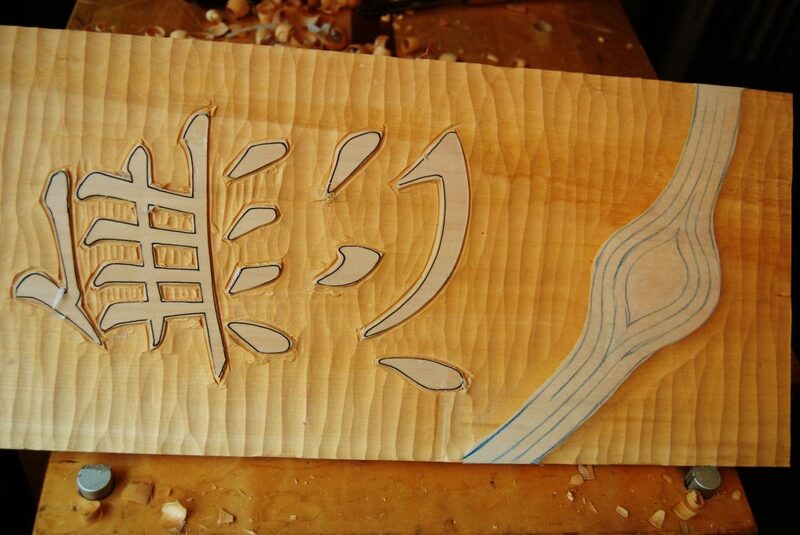 This will be the deepest area of the carving. 2. Outline the subject. Hold a V-tool in the low-angle grip, and carve a trench on the waste side of the line around each element, using smooth, flowing lines. This is called “lining in,” and acts as a stop cut. Don’t go deeper than your proposed background. Ignore the little details; we will deal with these later. 3. Lower the open areas. Lower the background by hand instead of using a router. 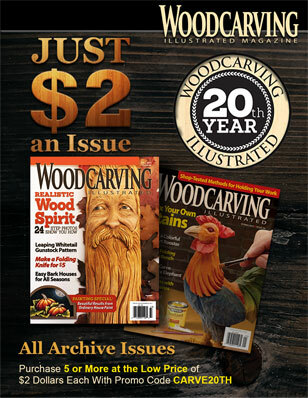 Hold a wide, medium gouge (#6 or #7) in a low-angle grip, and carve across the grain from the outside inward. 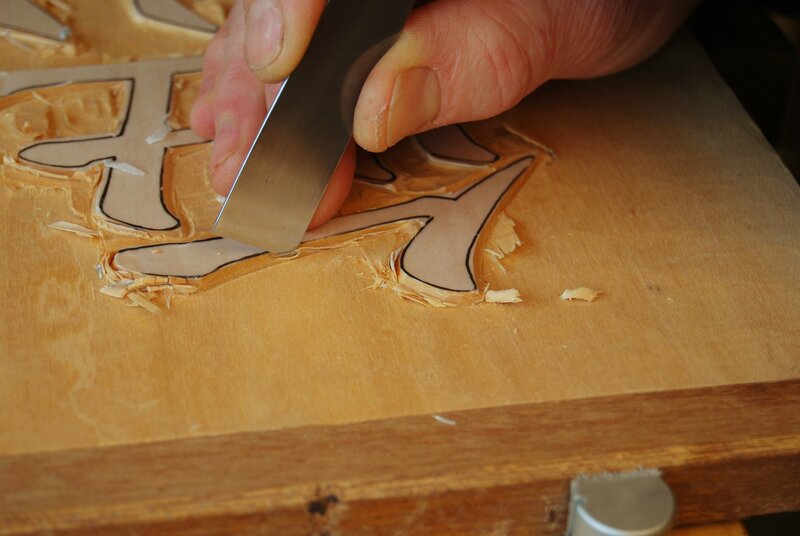 Keep the corners of the gouge clear of the wood and make long running cuts. Do not run the gouge into the elements. 4. Remove the waste in the tight areas. Take care that you do not go below the depth of the V-tool cut. Use narrower gouges on the enclosed areas—just do the best you can here; it’s easier to deal with them as units later. Use the gouge to “line in” around the stream, thus protecting it for now. 5. Level the background. 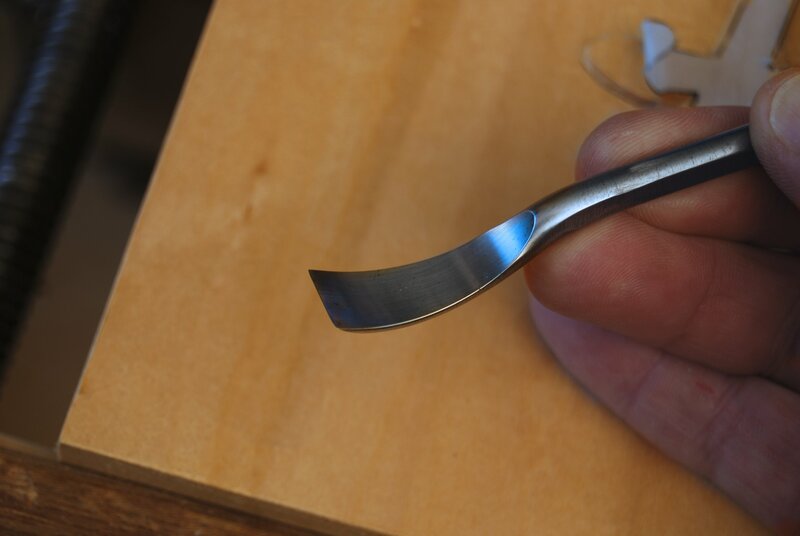 Use relatively flat gouges, such as a Sheffield #3 or Pfiel #2. Use the largest gouge possible and make sure your tools are sharp. Slice across the grain using the low-angle grip. Remove the ridges and any torn grain before moving to the next area. Level the closed grounds as much as possible. Stay away from the characters at this point. 6. Outline the curves. Hold the gouge that matches the curve of the element in the high-angle grip. Push the gouge down towards the background at a slight angle so the wall slopes out. Ease the tool out and continue around the curve. Use the same tool on as many areas as possible before switching gouges. 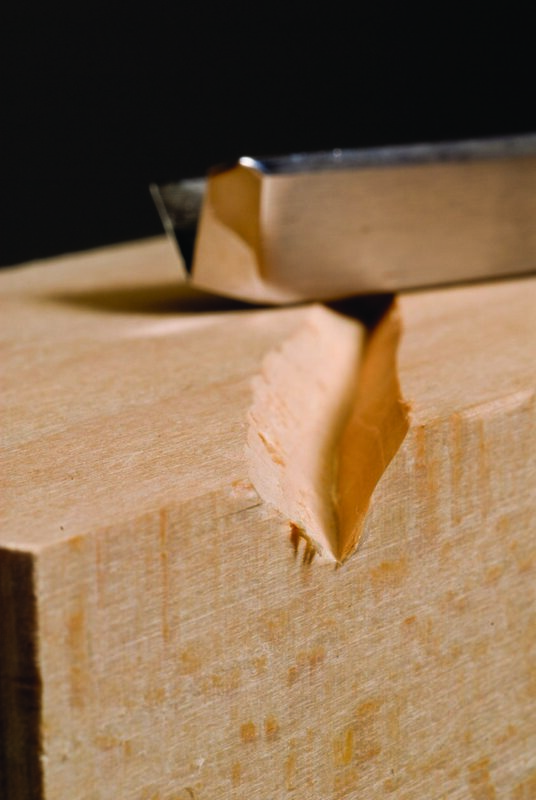 Use a skew chisel to make stop cuts wherever the pieces end at a corner. 7. Slice the long, smooth curves. Use your flattest gouges, sweeps #3 to #4. Hold the gouge in the high-angle grip, and push the gouge along with your thumb. 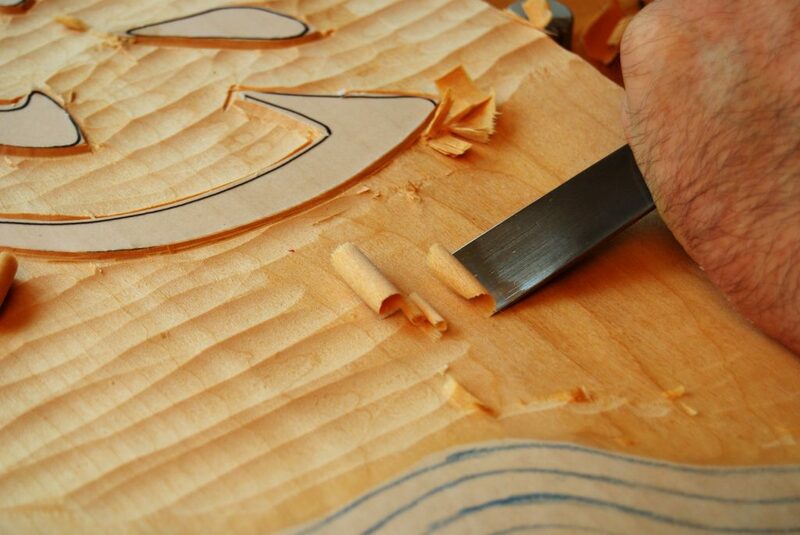 Treat the cutting edge of the gouge like a knife — the trailing corner is the point. 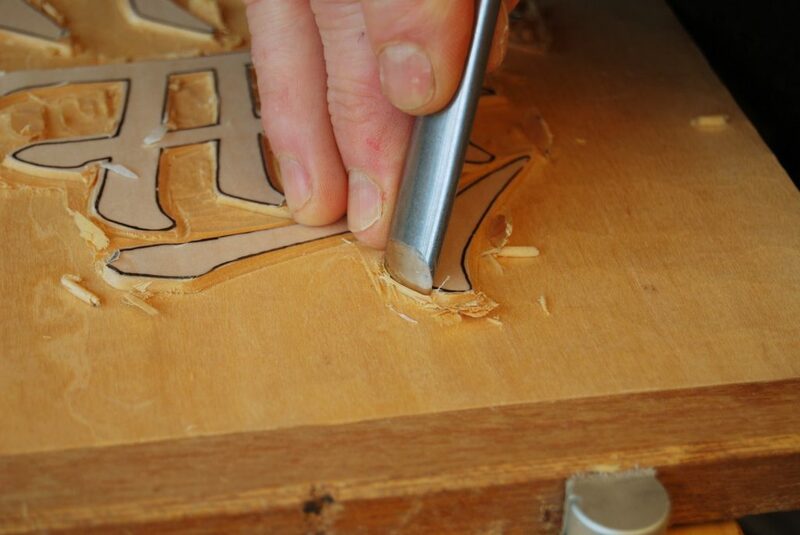 Keep the leading corner of the gouge clear of the wood. Feel your way through the curves. 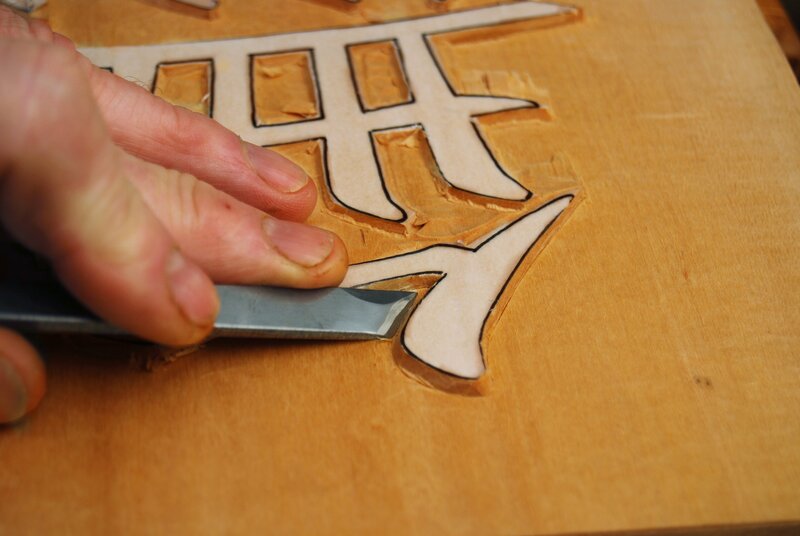 Use smaller gouges for the closed areas. 8. Finish off the open background. Use flat gouges and finish the ground up to the subject. Create a smooth wall, slightly sloping out, with a clean junction where it meets the background. Creating a clean junction is a fundamental skill to acquire. Deal with the larger areas first; then move on to the difficult areas. Use a variety of tool widths to get between the elements. 9. Finish off the closed backgrounds. Smoothing off closed grounds and cleaning into tight corners can be a major challenge, but there are some tools that really help (see Special Tools). In this area, I use a “grounder;” this is a short-bent, flat gouge. It works well in some places, but I often find myself reaching for a short-bent, left-hand or right-hand skew. 10. Clean up the subject areas. Peel off the pattern and remove any adhesive residue with a flat sanding block equipped with fine sandpaper. After sanding, check the surface edges of the elements to make sure you have clean, neat lines. If you use a stronger adhesive, you may need to soak the pattern with a bit of mineral spirits to remove all of the adhesive and residue. 11. Rough-carve the stream. Carve the recess for the pebble, but do not glue the pebble in place yet. 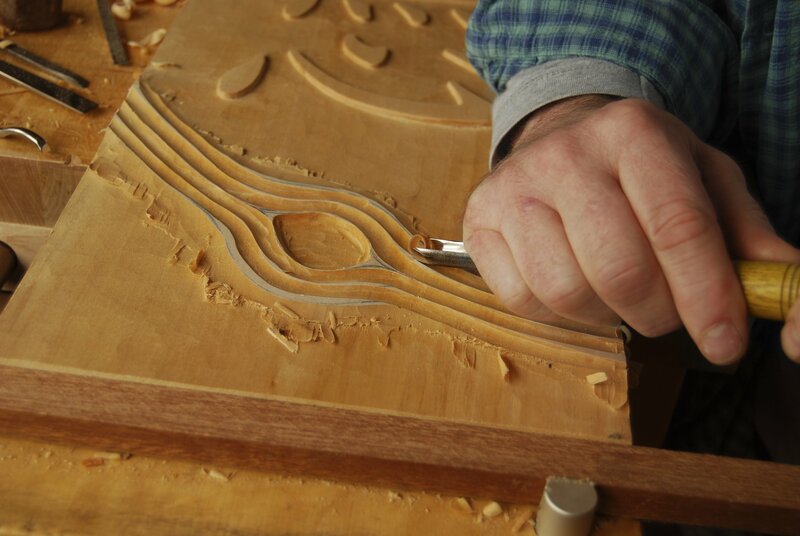 Carve the grooves that represent the water with a deep gouge. When you cut diagonally across the wood, one side of the gouge will cut with the grain, and the other will cut against it (see “Cutting diagonally”). Since there is no “waste side” in the grooves, cut each half of the groove separately. 12. Finish the stream. 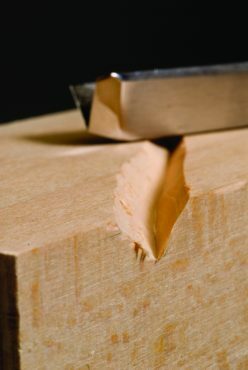 Reverse the direction of the cut for each side of the groove, cutting with the grain to prevent the ridge from crumbling. Flow the stream around the pebble. Keep the lines parallel and uniform. 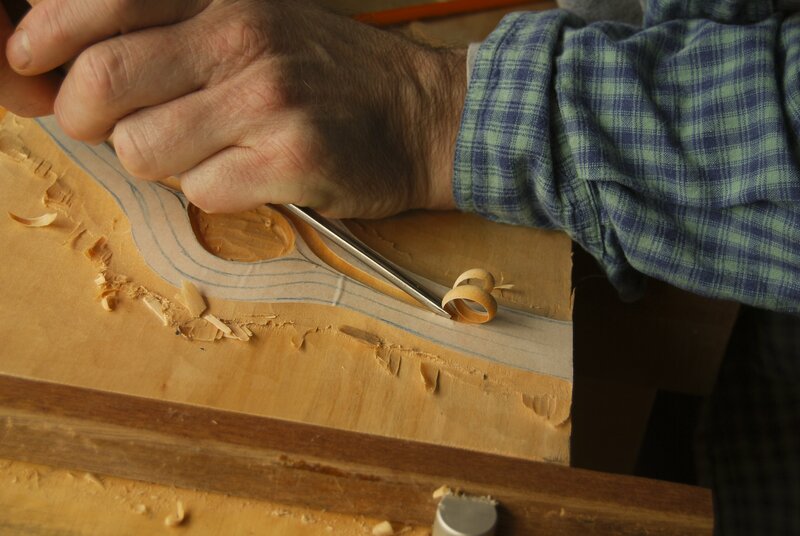 Rather than leaving a hard line, merge the half grooves that define the outside ridges of the stream with the background. Glue the pebble in place with 2-part epoxy glue. I finish the wood with a matte acrylic varnish, the sort used to finish oil paintings, which gives the surface a light sheen. A simple beeswax polish would also look good. Skew chisels, both straight and short-bent (spoon), get into tight angles and corners where square-ended grounders won’t reach. Short-bent skews come in pairs, each cutting either to the left or right. 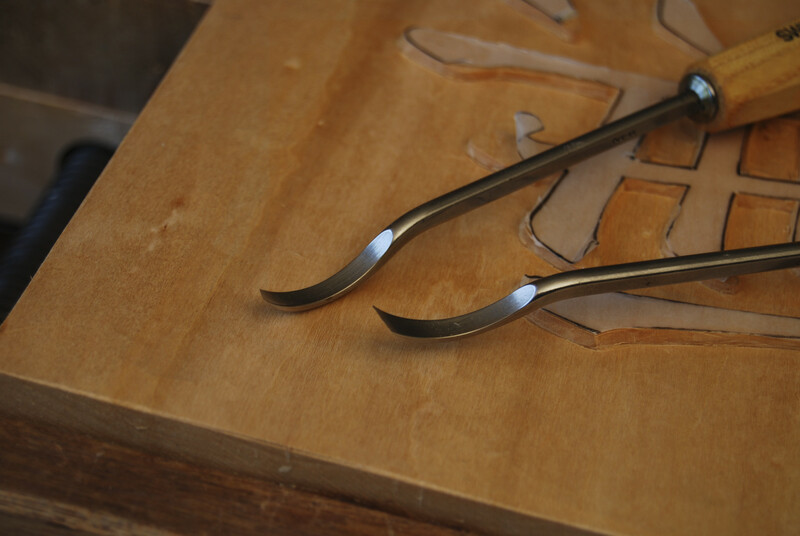 Grounders’ or grounding tools are short-bent (spoon)flat gouges or sometimes short-bent chisels. These tools will get into tight areas where straight gouges catch on the top edges of the recess and are essential for enclosed grounds. It’s a good idea to have a selection of widths. It’s always good to critique your work. Despite this being an excellent practice piece for setting in, I’m not sure whether the pebble lying on a vertical surface really works, as it defies both logic and gravity. It also seems a little too dominant in the design. A smaller, flatter pebble would feel lighter, and would be less dominant and more balanced. Painting the surfaces of the kanji would strengthen these elements, and setting the whole piece in a deep, box-like frame would take away some of the pebble’s isolated dominance.